Growing your own jalapeño peppers in the garden allows you to enjoy their spicy kick in homemade salsa and other recipes that call for this fiery vegetable. Like all pepper varieties, jalapenos are a warm-season vegetable that matures during the heat of summer. The seeds must be started indoors in most areas in order to ensure the growing season is long enough for the peppers to mature. Proper seed preparation must be done at the time of harvest if you want to plant the jalapeno seeds and grow more plants in the future. Slit open mature jalapeno peppers with the tip of a knife. Shake the seeds out into a small bowl. Set the remaining pepper aside for use in your favorite recipe. Fill the bowl with lukewarm water and swish the seeds around, loosening any pulp attached to the seeds. Seeds that are not viable also float. Skim the floating plant matter from top of the water then pour the contents of the bowl through cheesecloth to strain out the remaining water. Line a baking sheet or tray with wax paper. Spread the jalapeno seeds out on the wax paper and place them in a warm, well-ventilated room for two to three days to dry. Place the seeds in an envelope and label it with the seed variety and year harvested. Store in a cool, dry place until you are ready to plant the peppers. Alternately, place the jalapeno seeds in a sealed glass jar and store in the refrigerator. Check the seeds for germination 10 to 15 days before spring planting. Wrap 10 seeds in a damp paper towel then place the paper towel in a plastic bag. Set in a warm area for 14 days then open the bag and towel to check the seeds for germination. If more than five of the seeds are sprouted with visible roots, the jalapeno seeds are viable for planting. When planting the peppers in spring, provide plenty of bottom heat to the germination pots. 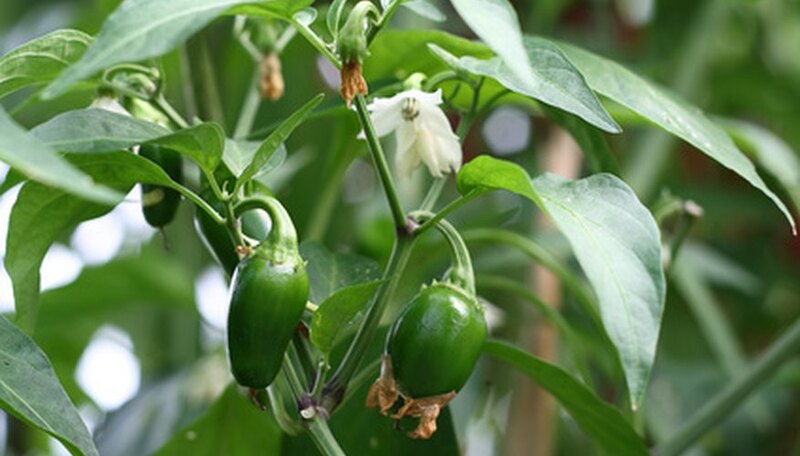 Jalapeno peppers germinate best at temperatures between 70 and 80 degrees Fahrenheit. Only use seeds from nonhybrid pepper varieties. Jalapenos labeled as heirloom or open-pollinated produce true seed. Wear latex gloves when handling jalapeno seeds, as the oils on the seeds can be irritating. Remove the gloves or wash your hands thoroughly before touching your eyes or face.